we wet our lips and drew air in through our mouths to make them visible. 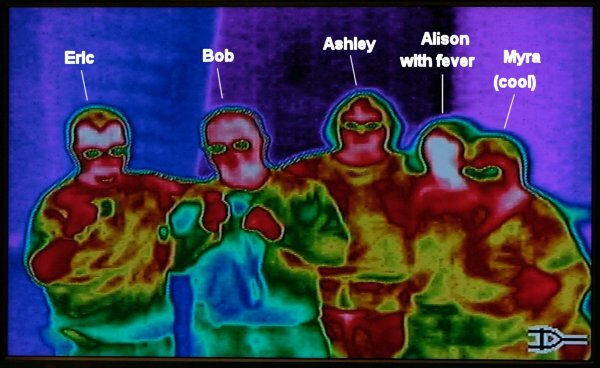 This image of the whole gaggle shows variations in body temperature. 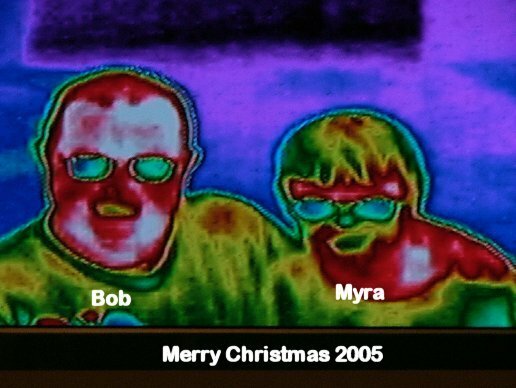 Installed 23 Dec 2005. Latest update 06 April 2007.